I love visiting a beautiful college campus. We've taken The Arrow to Notre Dame, my husband's alma mater, and Butler, my alma mater. 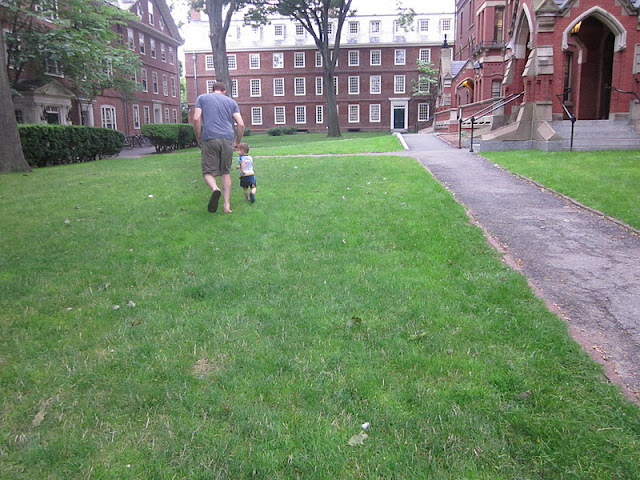 So while in Boston, we couldn't resist taking him to Harvard. We didn't have anything particular planned for a visit here, and it started to rain a little. But The Arrow didn't let that slow him down one bit. Luckily Dad caught up with him. And gave him a bird's eye view of campus. Maybe The Arrow will be accepted to Harvard on his own merits somday. If not, he looked for ways to sneak his way in. Before running wild through campus, we started our Harvard visit with dinner at The Border Cafe and ended with ice cream in Harvard Square. 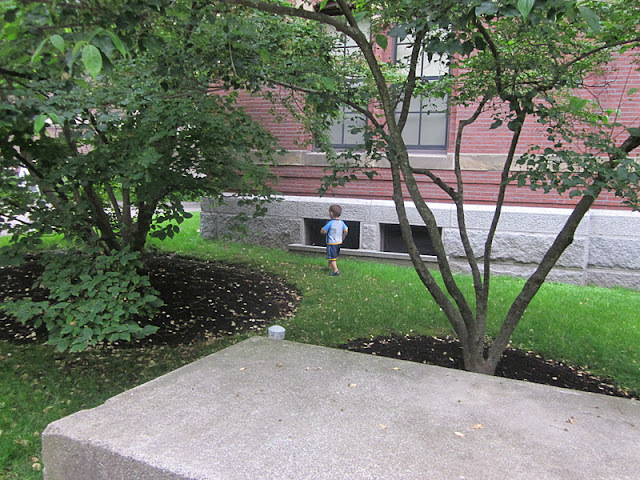 If you'd like to read more about visiting Boston with a 2-year-old, you can read my full trip report. 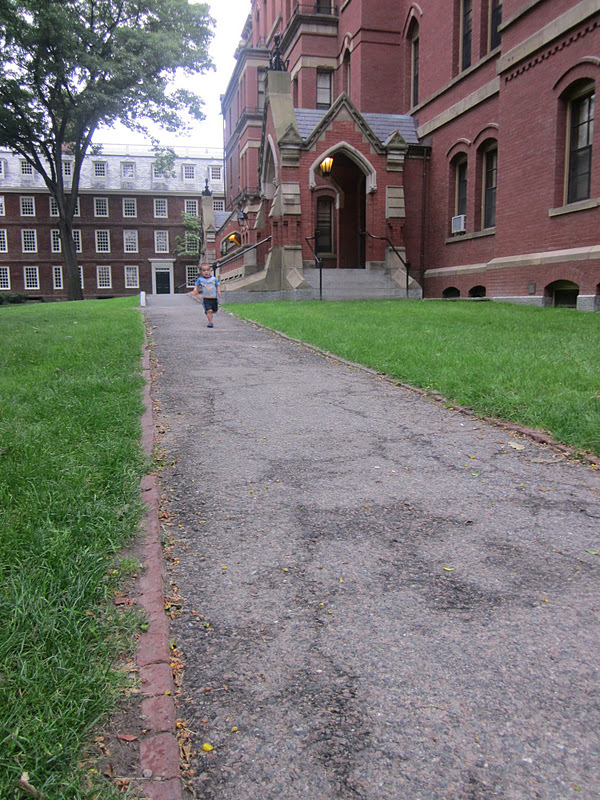 Such a lovely campus with all that running around space! Did you figure out a way to sneak in? My daughter's going to be applying soon (where did the time go?) and would love to go there! I remember visiting a friend in Boston while in college. 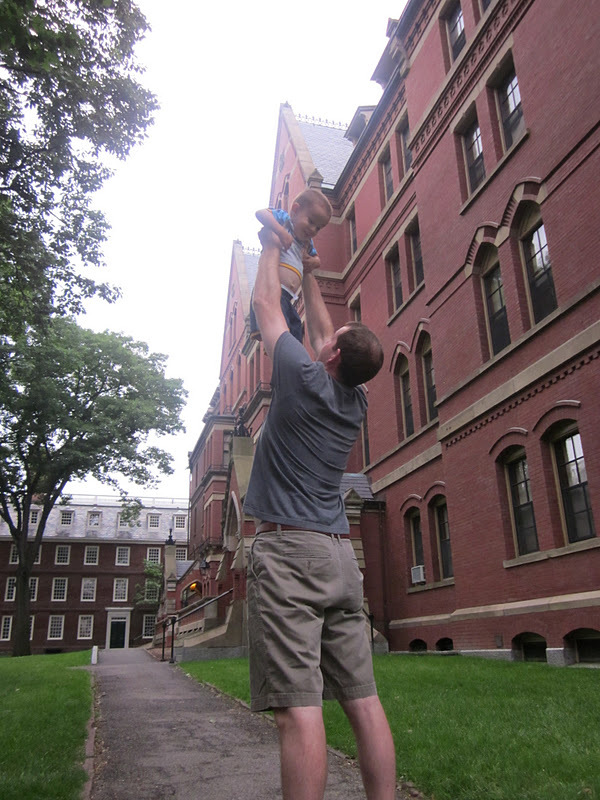 We wandered around Cambridge and happened upon freshman orientation. We got mistaken for Harvard students, which just made me giggle since I was in art school at the time, something so many people thought was easy and looked down upon. Let me tell you, art school is not easy. At all.